Although The Wire has shone a spotlight on Baltimore in the minds of hip-hop fans everywhere (did you hear that Snoop got arrested on drug charges, for real? ), the city’s actual rappers remain ironically overlooked. 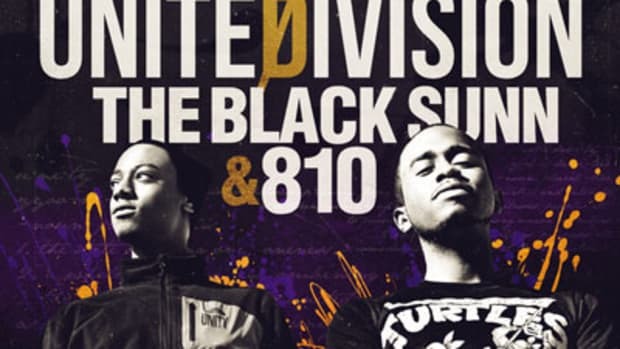 It’s a situation that most would find frustrating but thankfully B-More emcees Black Sunn and 810 have a calming response at the ready: I Don’t Care. The latest release off their collaborative United Division album, Don’t Care takes its cue from frequent production collaborator Mydus who crafts a sparkling, vocally harmonized and sharply snared beat that sounds like a lost track from an Erykah Badu album. Lyrically Sunn and 810 use their verses as opportunities to remind themselves, and listeners, to keep moving past all of life’s obstacles, be they school, empty bank accounts, big ego rappers, trifling females or anything that gets your ire up. Hopefully this joint has prompted you to let go of some of that daily stress you’ve got built up inside, and inspired you to care about the release of United Division, set to arrive on August 30. In the meantime, why not check out Don&apos;t Care&apos;s recently released video!